Problems with receiving Shipping News? Since I was born, my whole life I was interested in de maritime world, since I was a young boy I wanted to go sailing, it started with taking pictures of ships when i was a young boy when living in a flat building in Maassluis, from which apartment I could see the ships passing, due to this I decided when I was 16 years old to start a seaman career and joined in 1975 my first ship, the SMIT LONDON which just was delivered by the builders, De Merwede shipyard and at the photo seen moored at the Parkkade in Rotterdam during her trails. In continuation on the Smit London I sailed on several Oceans going tugs of Smit going through the several ranks, from messboy to Able seaman, in 1979 I decided to go to the maritime high school in Flushing to study for my master ticket, after obtaining the several tickets I returned again to the Ocean going tugs and after several trips as 2nd mate and ch.mate I was promoted to Captain with Smit International Ocean Towage and Salvage company. In Singapore waters at that time the casualties were that time still done at the “Westerschelde Style” with as heavy opposition the tugs of SELCO what later became SEMCO, these years were the best of my life, had a lot of fun, I met in Singapore Elizabeth, which became my wife several years later, due to several circumstances I returned in 1999 back to the SMIT Rotterdam office where I continued with the execution of projects, so I was part of the team of the 2nd Beneluxtunnel project, as well of the Thomassen Tunnel (Caland canal), the Salvage of the Kursk, wreck removal of the Twin Star which sank after a collision just outside the port of Callao in Peru, the salvage of the Umfolozi, a container vessel which sank in the port of Walvis Bay (Namibia) after a collision with a dredger an many more (salvage) projects, one of the most memorable projects were the 2 pipe pull projects in Dahej in India the first attempt was early 2003, but due to lack of proper preparations onshore this pull did not went well and was abandoned after several weeks of trying, after returning in 2004 the work was completed successfully, this work was executed in currents up to 7 knots and a tidal range of up to 9 mtrs at springtide between low and high water, at low water the beach was about 1 km wide slicks and with high water no beach at all. In 2001 I started collecting maritime related news and started sending this around by e-mail to some friends, but slowly more and more people did see this and requested to be added to the distribution list, after some time I realized that around the world still a lot of people have interests in maritime information, in the meantime my distribution list became 5000 e-mail addresses daily as per October 2008 and this figure is rising every day, I know from several readers that they are distributing it again, some people up to 70 copies daily, also the clippings are send to many ships, on which the crew the news clippings see as their daily news about shipping, I am receiving regularly e-mails of crew members, companies and readers on shore in which they express their appreciation, due to this I have decided to expand the service with this website. All news clippings made since 2001 can be found at this website, and can be searched by using search engine, just type a ships name or something else you remember and the search engine is looking for you for the subject or photo, browsing through hundreds of news clippings made over the years. Due to this you are able to search through 2,5 GB on maritime information including a lot of ship photo’s over the last 8 years, also the latest new clippings will be added daily at the website and can be viewed the same day as a real newspaper, so allowing you to read this at the time you like, automatic this edition will move to the archive when the daily edition is added again. 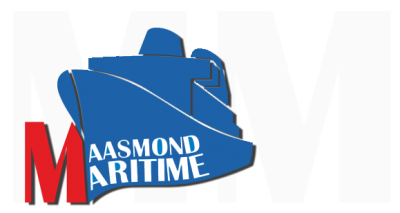 The (free) subscribing-news@maasmondmaritime.com procedure to receive automatically the (free) shipping news clippings in your mailbox follow the instructions at the website, after answering some questions and filling out your e-mail address and submission, you will receive an e-mail as confirmation which you have to reply to confirm your request and you will be added automatically to the distribution list and you will receive the news clippings daily in your mailbox. WOULD YOU LIKE TO RECEIVE MY SHIPPING NEWS? © 2019 Maasmond Maritime - Shipping News. Website gemaakt door Pro-Digitaal. All Rights Reserved.